One of the latest additions to our iconic pampeano polo belt collection for 2015 is this beautiful Dulce pampeano polo belt. 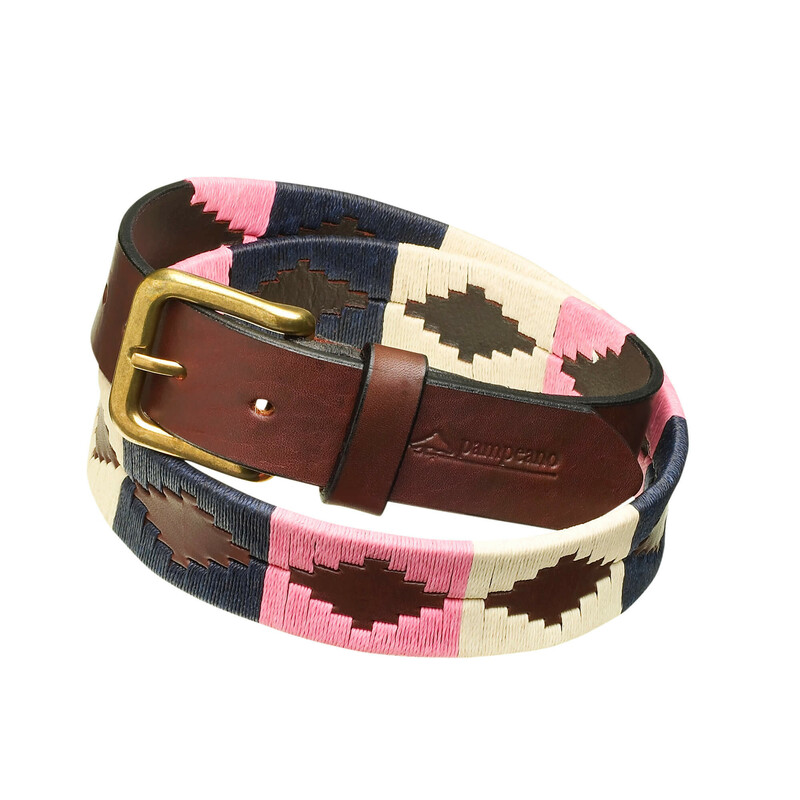 Dulce means ‘sweet’ in Spanish and we believe that to be the perfect name to encapsulate the candy coloured look of this polo belt. The striking contrast of the rich navy threads and Havana brown leather against the soft pink and cream is hugely complimenting and the perfect piece to complete an array of different outfits, both on and off of the polo pitch, whether it be casual wear, smart, evening, uniform or equestrian. 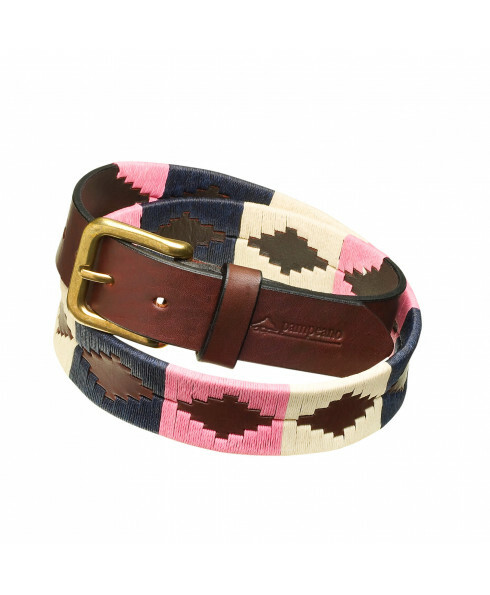 If not purchasing for yourself, this pampeano polo belt makes for a perfect gift. The quality is exceptional as all of our polo belts use only the highest grade, butter-soft Argentine leather which improves with age and wear. Each and every one of our polo belts are hand-stitched by our skilled Artisans with extraordinary attention to detail, taking 4-5 hours to complete the weaving of each one.